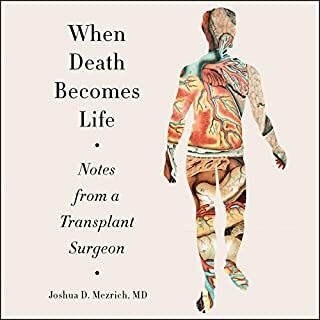 At the University of Wisconsin, Dr. Joshua Mezrich creates life from loss, transplanting organs from one body to another. In this intimate, profoundly moving work, he illuminates the extraordinary field of transplantation that enables this kind of miracle to happen every day. Henry Marsh has spent a lifetime operating on the surgical front line. There have been exhilarating highs and devastating lows, but his love for the practice of neurosurgery has never wavered. Following the publication of his celebrated New York Times best seller Do No Harm, Marsh retired from his full-time job in England to work pro bono in Ukraine and Nepal. In Admissions he describes the difficulties of working in these troubled, impoverished countries and the further insights it has given him into the practice of medicine. 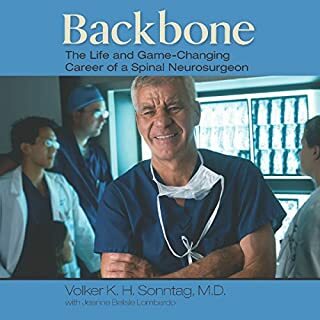 On a beautiful spring morning in 1989, neurosurgeon and spine expert Volker Sonntag was just finishing rounds at Saint Joseph's Hospital in Phoenix, Arizona. At that same moment 16 miles away, a hard-charging boy named TJ veered his bike into the path of a speeding pickup truck. The impact all but killed the boy, leaving him with a shattered leg, severe internal injuries, a massive blood clot near the brain stem, and - but for the fragile spinal cord - a complete separation of the skull from the spine. 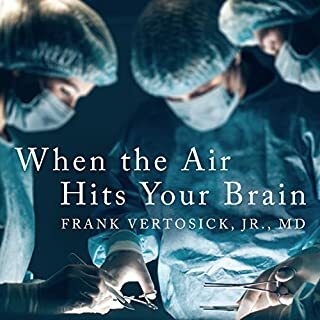 With poignant insight and humor, Frank Vertosick, Jr., MD, describes some of the greatest challenges of his career, including a six-week-old infant with a tumor in her brain, a young man struck down in his prime by paraplegia, and a minister with a .22-caliber bullet lodged in his skull. Told through intimate portraits of Vertosick's patients and unsparing-yet-fascinatingly detailed descriptions of surgical procedures, When the Air Hits Your Brain illuminates both the mysteries of the mind and the realities of the operating room. 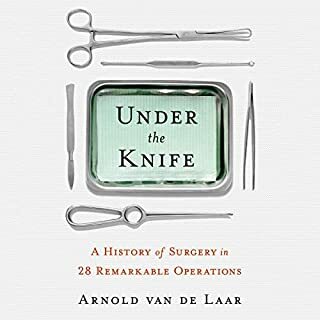 From the story of the desperate man from 17th-century Amsterdam who grimly cut a stone out of his own bladder to Bob Marley's deadly toe, Under the Knife offers a wealth of fascinating and unforgettable insights into medicine and history via the operating room. What happens during an operation? How does the human body respond to being attacked by a knife, a bacterium, a cancer cell, or a bullet? And, as medical advances continuously push the boundaries of what medicine can cure, what are the limits of surgery? Why did a surgeon need a fast horse? 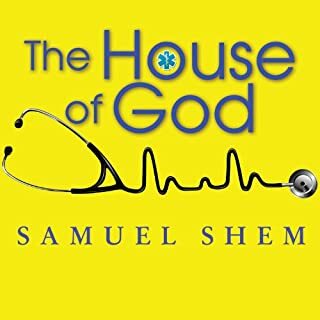 By turns heartbreaking, hilarious, and utterly human, The House of God is a mesmerizing and provocative journey that takes us into the lives of Roy Basch and five of his fellow interns at the most renowned teaching hospital in the country. Sometimes in medicine the only way to know what is truly going on in a patient is to operate, to look inside with one's own eyes. This book is exploratory surgery on medicine itself, laying bare a science not in its idealized form but as it actually is - complicated, perplexing, and profoundly human. When Michael Collins decided to become a surgeon, he was totally unprepared for the chaotic life of a resident at a major hospital. A natural overachiever, Collins' success in college and medical school led to a surgical residency at one of the most respected medical centers in the world, the famed Mayo Clinic. But compared to his fellow residents, Collins felt inadequate and unprepared. As an active surgeon and former department chairman, Dr. Paul A. Ruggieri has seen the good, the bad, and the ugly of his profession. 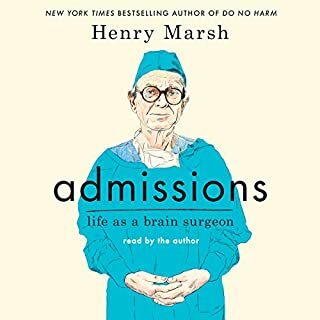 In Confessions of a Surgeon, he pushes open the doors of the OR and reveals the inscrutable place where lives are improved, saved, and sometimes lost. He shares the successes, failures, remarkable advances, and camaraderie that make it exciting. At the age of 36, on the verge of completing a decade's worth of training as a neurosurgeon, Paul Kalanithi was diagnosed with stage IV lung cancer. One day he was a doctor treating the dying, and the next he was a patient struggling to live. And just like that, the future he and his wife had imagined evaporated. Ambitious and cocky, a young neurosurgery resident left his hometown of Chicago for what became an unforgettable adventure in San Francisco, both exhilarating and disheartening, destined to irrevocably change his future. "Dogmeat" was the moniker he was given as apprentice to a famous - and famously intimidating - neurosurgeon. Moris Senegor gives a disarmingly honest account of his "Dogmeat" days in the wards and operating rooms of UCSF. He also vividly recounts how he fell in love with San Francisco and a woman he found there. His story is for both surgeons and anyone ever beguiled by San Francisco. ©2014 Moris Senegor M.D. (P)2017 Moris Senegor M.D. Dr. Charlie Wilson aka "Chairman Wilson? Imagine being at the end of your residency and legendary neurosurgeon Charlie Wilson screams “You are not cut out for Neurosurgery.” Dr. Wilson (UCSF) already fired the previous resident and Senegor was the next resident “Dogmeat.” San Francisco is the enchanting city where this happens (full of fog banks, redwoods and recollections). “Dogmeat: A Memoir of Love and Neurosurgery in San Francisco” is a fiercely candid tour of the wards and operating rooms at prestigious UCSF. “Senegor” lost a marriage and found a new one in the ordeal. Spilling over with black humor and a candid delineation of “the nether world” of residency. Neurosurgeon Moris Senegor has achieved more than 8000 procedures in peripheral nerve, spine and brain surgery. San Francisco and its inveiglement are found within. Resident empathy dissipates with "ubi pus, ibi evacua” surgery in care bordering on “toten machen.” Buy, cringe and imagine being the “Dogmeat” of Dr. Charlie Wilson. No, I would have preferred more personal anecdotes than the technical jargon. Would you recommend Dogmeat to your friends? Why or why not? No, there was little personal story line. Have you listened to any of John N Gully’s other performances before? How does this one compare? Yes but he saved this book for me. His cadence and syntax was excellent and I enjoyed his voice. He is very professional. What else would you have wanted to know about Moris Senegor M.D.’s life? More personal stories so we could learn more about him. A fun and interesting read! Good narration! What did you love best about Dogmeat? An interesting insight into neurology through the eyes of a doctor with his interesting journey. I loved this book! 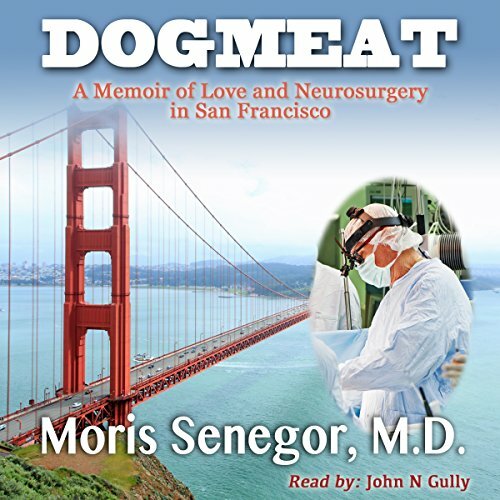 I was dubious yet intrigued about this audiobook with "Dogmeat" and "neurosurgery" in the title. Nevertheless I was pleasantly surprised when I came to truly enjoy Dr. Moris Senegor's account of his formative years as resident under two famed (and polar opposite) neurosurgeons. It's the early-1980s and Senegor is in Chicago, in the midst of his surgical residency. A chance encounter leads him to the opportunity of a lifetime, as "the Wilson resident" in San Francisco. He falls in love with the beauty of the city and, amongst demanding surgical responsibilities and a hectic on-call schedule, he finds his future wife. Ambition and ego will ultimately teach Senegor a difficult lesson, costing a patient her ability to live a normal life. Senegor carried much into his future from his time in San Francisco, but he also left a few things behind. While I've had past employment experience with a neurosurgeon (as well as extensive experience as a neurosurgical patient), I believe non-medical persons will be able to understand and enjoy this book just as much as I did. Despite some necessary medical terminology the language is accessible, so there should be no need for a medical dictionary, unless you're just curious! Narrator, John Gully, gives a superb performance, telling Senegor's story with ease and enthusiasm. I'm always fascinated with behind-the-scenes real life stories, and Dogmeat certainly fed my fascination. I enjoyed listening to this book. John Gully did a great job of narrating this book. I loved all the descriptions of San Francisco. San Francisco is such a lovely city and Moris Senegor did a nice job of telling about his time in this lovely place. I was gifted this book with the understanding that I would leave an honest review.